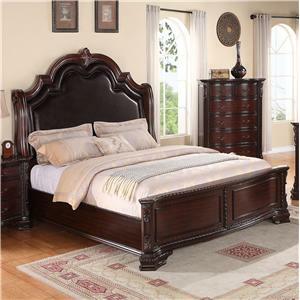 Showcasing thick wood planks on the headboard and footboard, this bed has a warm, rustic look. Clean lines and splayed legs create a more contemporary silhouette for a modern take on rustic style. The Tacoma Rustic Queen Panel Bed by Crown Mark at Casa Leaders Inc. in the Wilmington, Long Beach, Torrance, Lakewood, Los Angeles area. Product availability may vary. Contact us for the most current availability on this product. 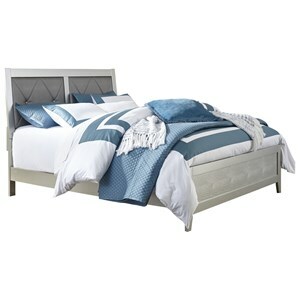 B8280-KQ-RAIL King/Queen Rail 1 81" 0.7" 7.1"
B8280-Q-HBFB Queen Head/Footboard 1 64" 1.2" 57.1"
Featuring clean lines and strong wood materials, this bedroom collection offers a modern take on rustic style. 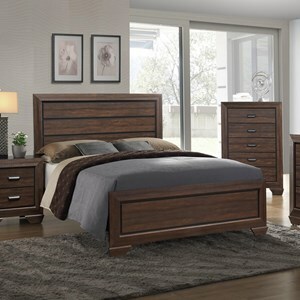 Plank wood drawer fronts and bed panels pair with the rich wood finish for a warm and rustic design, while the clean lines create modern silhouettes perfect for any bedroom. The Tacoma collection is a great option if you are looking for Rustic Casual furniture in the Wilmington, Long Beach, Torrance, Lakewood, Los Angeles area. Browse other items in the Tacoma collection from Casa Leaders Inc. in the Wilmington, Long Beach, Torrance, Lakewood, Los Angeles area.